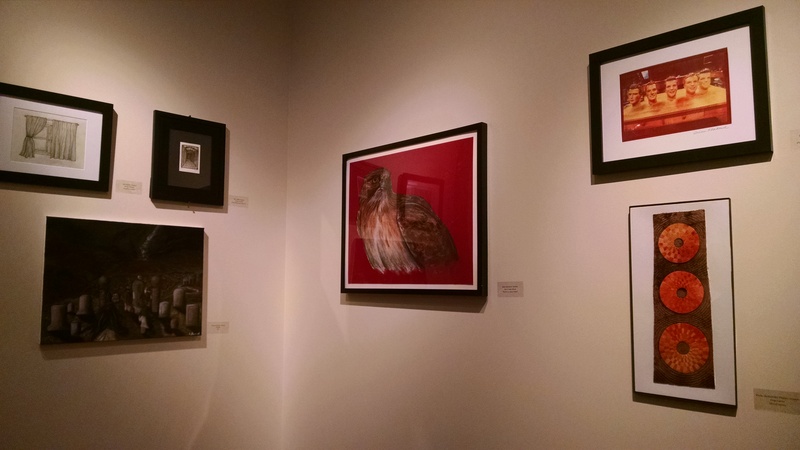 Lewis University hosted the opening reception for the President’s 7th Annual Art Exhibition in the The Brent and Jean Wadsworth Family Gallery on Wednesday, February 4th. I, once again, did participate in the alumni part of the show this year. I also was able to get out to the reception this on the 4th, unlike last year due to Chicago’s lovely and snowy weather, LOL. Red-tailed hawk in pastel. The President’s 7th Annual Art Exhibition at Lewis University, Romeoville, IL. Although, the gallery was not at Lewis when I was in school, it felt like it has always been there. 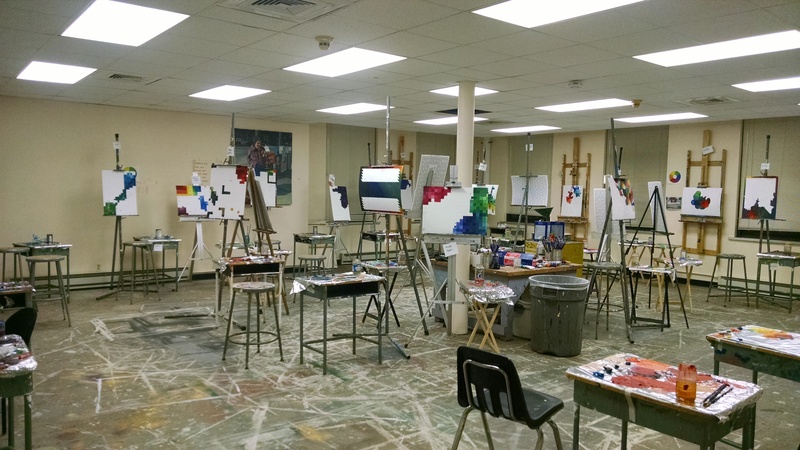 I think it is one of the best features of the entire art department and campus at Lewis. This is one upgrade to the campus that everyone should see. Northern grey wolf in pastel (top), Snowy owl in colored pencil (bottom). 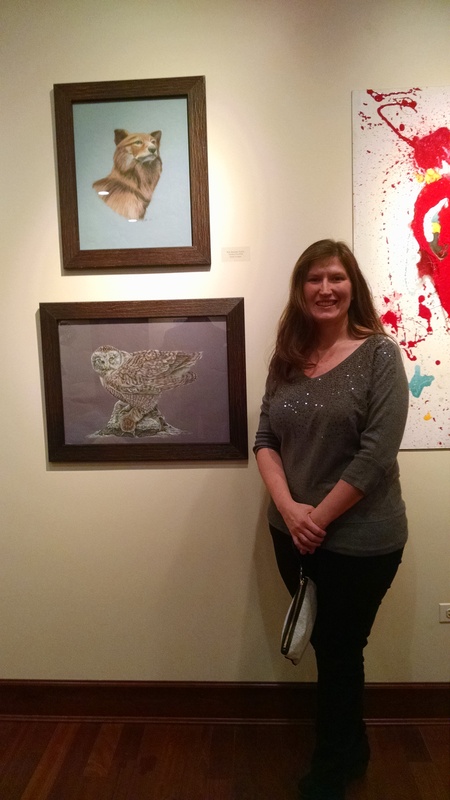 Me standing with two of my pieces in the show. As the reception took place you can see the talent that the school has. When I was in school back in the late 90’s, the department of art majors was small (if we were lucky we had 10 art majors all year round). 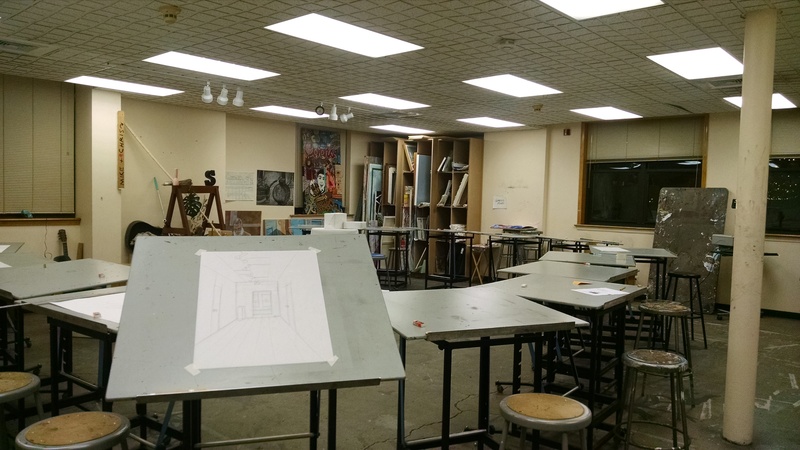 Now, there are art majors not just in painting and drawing, but also computer graphics, graphic art, and sculpture.I took a peek at the old drawing and painting rooms; memories came flooding back to me. I can see myself in my studio painting 4×4 foot paintings, drawing portraits of famous and not-so-famous people, and creating 3-D looking landscapes on programs that were beyond what any computer geek could reach at the time. I had two shows while I was at Lewis. Both were milestones for me during my time at school. I have reminisced enough so I would like to invite everyone to go and see the show and gallery with all the work by past and present students from Lewis University. The President’s 7th Annual Art Exhibition is a free exhibit and is open to the public and will be on display from 9:00 am-9:00 pm weekdays and 9:00 am-5:00 pm on weekends from Feb. 3-27. For more information you can go to the Lewis University Alumni website here, http://www.alumni.lewisu.edu/Page.aspx?pid=567&cid=5&ceid=427&cerid=0&cdt=2%2f5%2f2014. Wonderful, what a website it is! This website presents valuable data to us, keep it up.